For me, Whitney Houston’s passing was more touching than that of Michael Jackson. Far away over the Atlantic Ocean but I couldn’t hold back the tears as I watched BeBe Winnas sing during her funeral service two nights ago. The songs we sing and love are those we appreciate because they speak to our experiences, expectations and persona. For that reason, I believe that for Whitney to have sung all those songs, she must have had a lot of love to give. Since I heard about her passing, I kept asking myself how someone like Whitney who had so much love in her heart could end up the way she did. Some have blamed the pressures of the entertainment industry for her demise; several others have blamed Bobby Brown; and some have blamed her for having the sensual love and not loving the way God wants us to love. As I watched the church service, I couldn’t help but say she should have just stayed in church and forgotten about love, just like most of us should have stayed virgins and forgotten about love. I felt like loved failed her, like it has failed most of us. These were my thoughts until Bishop T.D Jakes came up to the podium to minister. Bishop Jakes said, according to the Bible, Love is greater than Death. And he talked about the several people whom it seemed death conquered despite the great things they had done like Abel, Noah, Habakkuk etc. until Jesus came and conquered death. I guess Bishop Jakes is right. We cannot but love as children of God, because God is love. Though we make several mistakes in the name of love, though we may get hurt in the name of love, though we maybe taken for granted and tagged ‘naïve or gullible’ because we live by 1 Corinthians 13, which says’love believes all things’, we cannot but love. What is important is that we hold unto God. 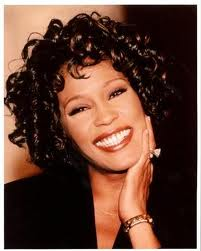 Goodbye Whitney, you were beautiful and had an outstanding voice; we surely will miss you!